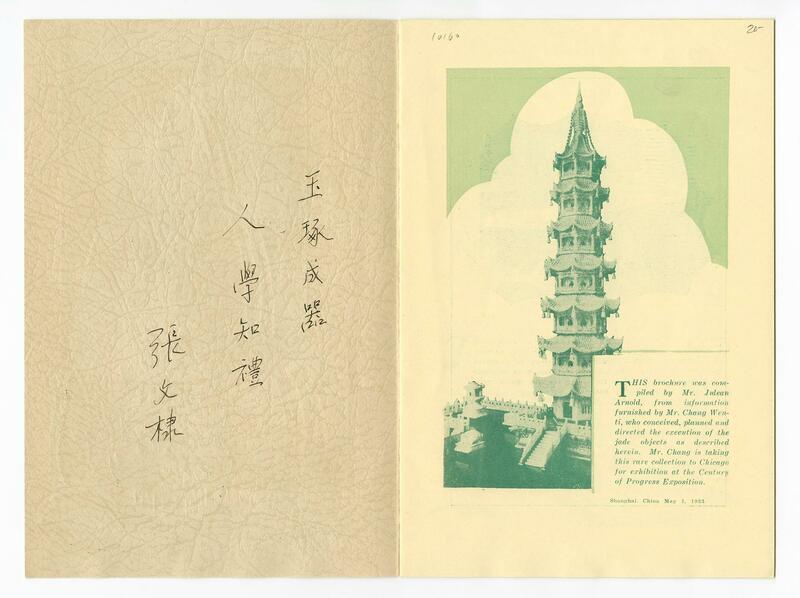 inscription: Asian symbols handwritten in black ink vertically inside front cover. 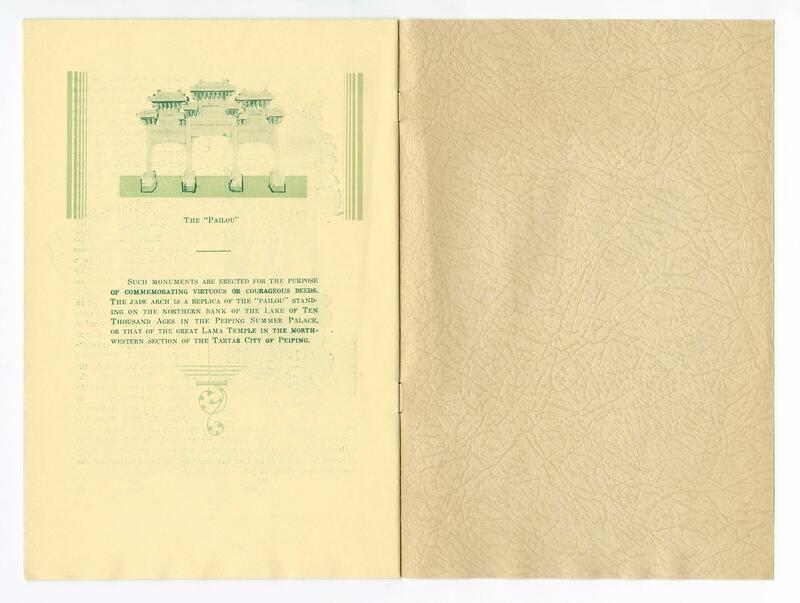 "10160" and "20-" handwritten in pencil on the top edge of the first page. "Printed At Shanghai, China By The Mercury Press." 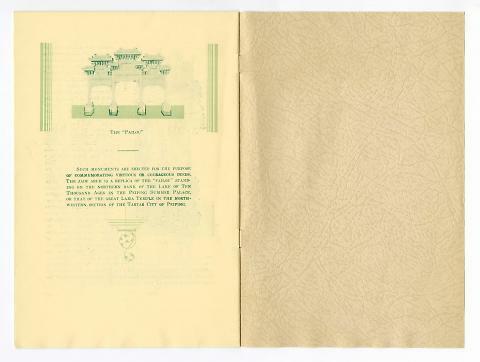 printed in green on the bottom edge of the back cover at the right. 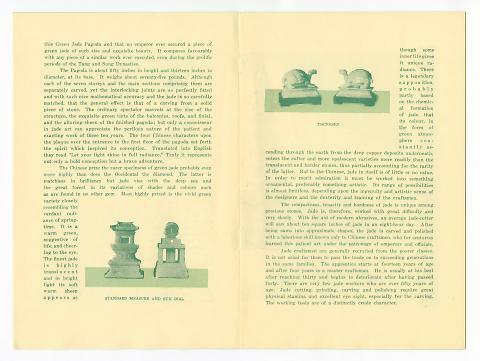 16-page pamphlet has green ink printed on beige paper. On the front cover is an illustration of a pagoda with the text "The Altar / of the Green / Jade Pagoda" at the left. 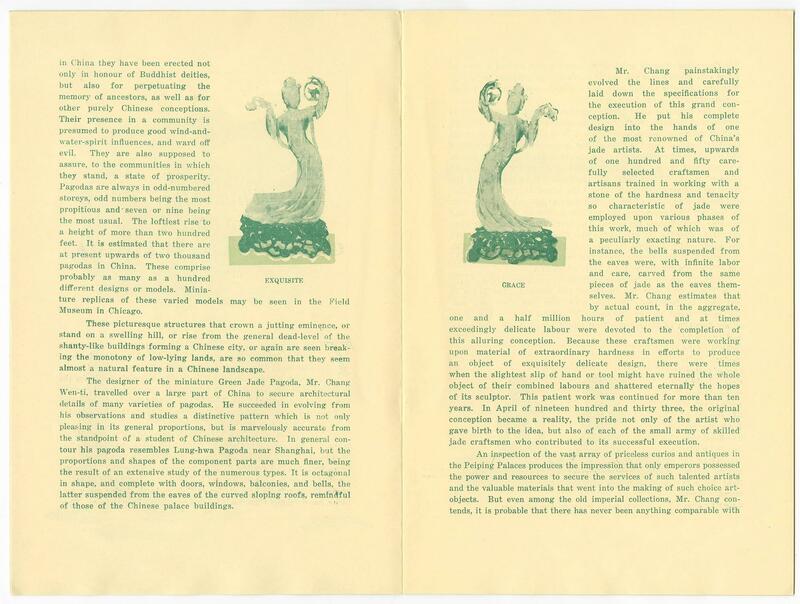 Pamphlet was compiled by Julean Arnold with information obtained from Chang Wen-ti. 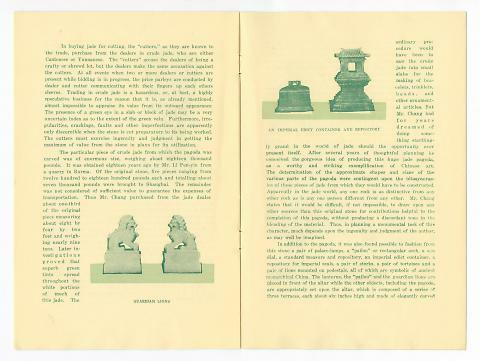 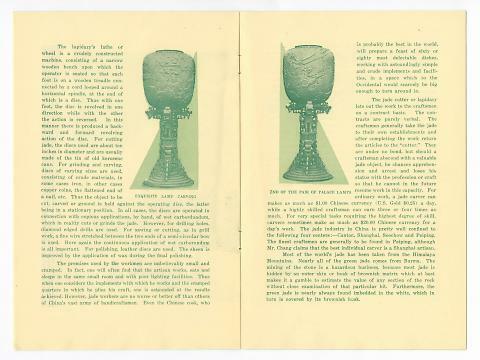 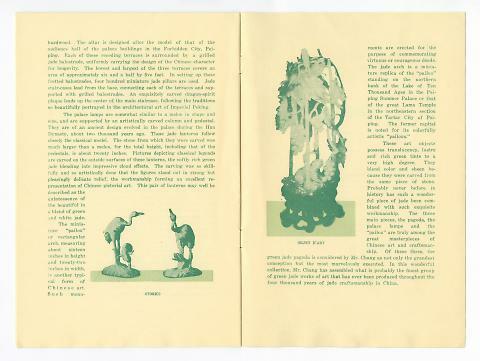 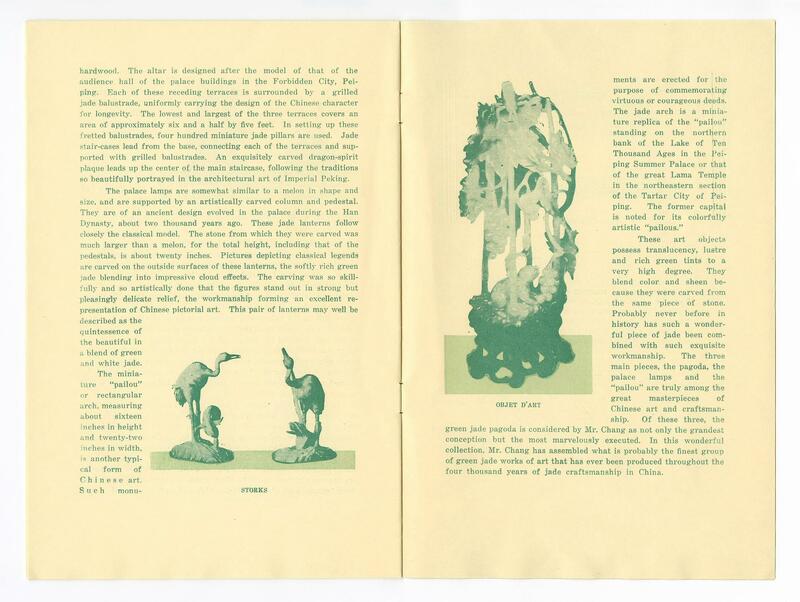 Published in 1933, the pamphlet details the jade carvings created for the miniature Green Jade Pagoda and includes images of statues and lamps. In 1933, Julean Arnold, of the US Consulate in Shanghai, with help from jade merchant and impresario Chang Wei Ti, prepared this short booklet in English about the Secret Jade Pagoda. 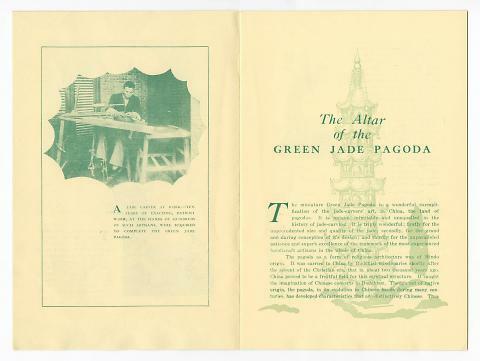 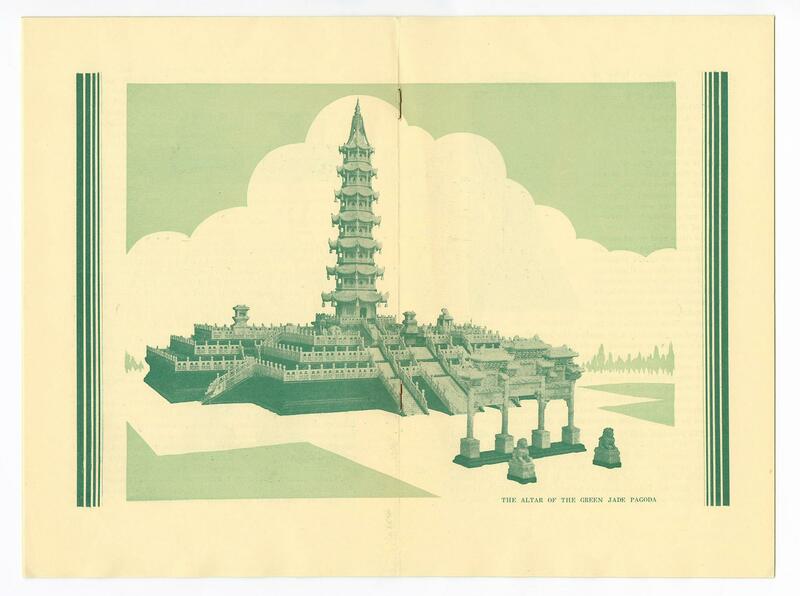 Both the pagoda and Chang's collection of historic jade pieces were on their way to the Century of Progress Exposition in Chicago, and this pamphlet served as their calling card to the world. 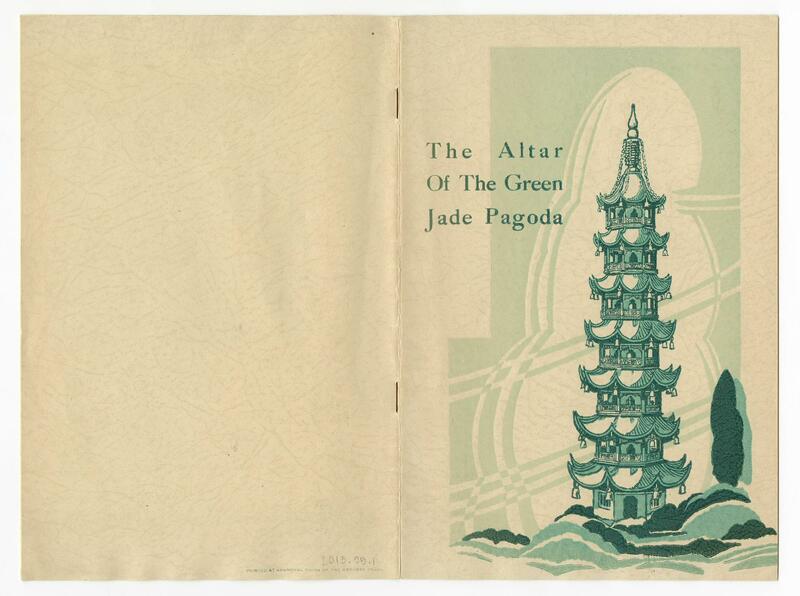 The pamphlet details the mining and carving of the pagoda and the grandeur of jade and the pagoda form. The details in the pamphlet and indeed its turns of phrase and extravagant rhetoric have been repeated in almost every subsequent article written about the pagoda.